What if God was not the object of our knowledge but the cause of our wonder? If God is the object of our knowledge, faith is a conclusion. If God is the cause of our wonder, faith is an invitation into wonder. Faith is an invitation to wonder anew about this story where Love is born in a dark, filthy cave. Faith is an invitation to wonder anew about Love being born in a manger, an animal’s feeding trough, that gleams with the saliva of the oxen that have just eaten there. That hardly seems like a likely place for the birth of love and hope and possibility. Maybe the less likely the better. We might just wonder how Love might be born in unlikely places today, places with dark and troubled faces where hope is dead. We might just wonder how we are part of that story. My soul doesn’t need the sanitized Hallmark Christmas cards absent of the pain, mess and fear of this wondrous story. You know the ones…where Mary has an easy labor and recovers from childbirth in a heartbeat sitting serenely dressed in lovely blue silk. Joseph hovers about as if the whole ordeal went exactly as planned. The shepherds are ready to change a diaper or two. No, my soul longs to wonder about a story of Love being born where hope is dead. My soul longs to wonder about a story of an impoverished girl whose life is lived on the margins. She is exhausted, frightened, miles from home in a dark and scary place. My soul longs to wonder about the mystery of Love entering the world in that unlikely place. It was dirty. It smelled. My soul longs to wonder how something holy and beautiful can be born in such a dark and troubled place. My soul longs to wonder how that story is my story, our story. I wonder if I am the one with the dark and troubled face where hope is dead. I wonder if Love is always born. At Christmas we are reminded afresh of God’s gift of Jesus to the world. We celebrate and rejoice that God has been born into this world as one of us, the mystery of the divine taking human flesh, living in our human condition, and revealed in a tiny baby. Emmanuel, God is with us. The early church fathers said that God became human in order that humanity might become divine. God and humanity exchange gifts. We share our lives with one another and in so doing discover that God and human beings are united and joined as one. Mary and Joseph would have tenderly whispered words of love and welcome to the infant Jesus. The baby was so small, vulnerable and helpless; yet he is the Word, who in the beginning was God and was with God. The shepherds and the wise ones, the Magi, whispered words of love and welcome, and praise and wonder. They would have held such hope for this child. Even the miracle of survival, given the tremendous social, economic and political upheaval of the day. The responsibility for the care of a child at any time is formidable and frightening and even more when there is so much fragility, uncertainty, unpredictability. Newborns embody the potential of what might be. They are the hope of what love can become. Mary and Joseph held this child in trust, as all children are held in trust. Their hope was that this child would flourish, that this child would reveal the divine in their midst, that this child would embody God’s love, grace, and mercy, and would speak with strength and compassion into the human condition. We have a wealth of stories of how this newborn’s life unfolded, source of God’s salvation for the world, the one who questioned the powers that be, who sought to bring about a reversal in the social order and liberate the oppressed. But for now let us stay with this child. Whenever I see a newborn child, I want to say, ‘Welcome to the world, little one’. 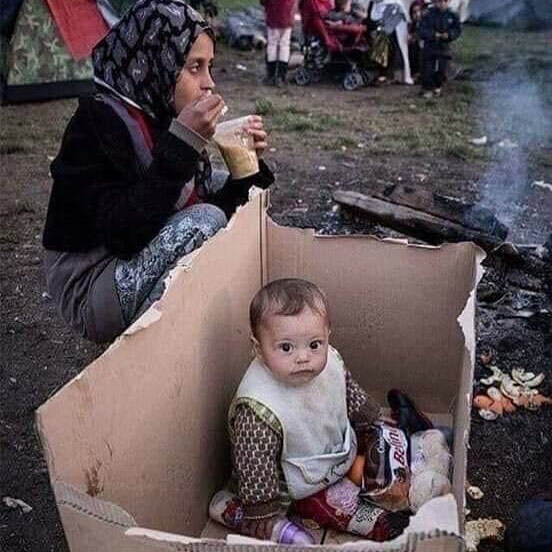 And, ‘Good Luck!’ It’s not so much luck, as a deep desire for this child, for each child, to be able to live, to flourish, to love and be loved, to live into the strength and compassion that is part of our humanity, to be all they can be. Fearless, generous, open, compassionate. I often look at the rough sleepers around this city, and wonder who whispered those words to them, ‘Welcome to the world, little one’, and ‘Good Luck’. And I wonder where things went so wrong for so many, that their life has become so constrained, so limited, so loveless, so ‘down on their luck’ as some would say. I look at the children in detention, children starving in Yemen, children at border crossings and checkpoints, and wonder who has whispered the words to them, ‘Welcome to the world, little one’, and ‘Good Luck!’ Sometimes circumstances intervene, that stop each precious child from being all they can be. 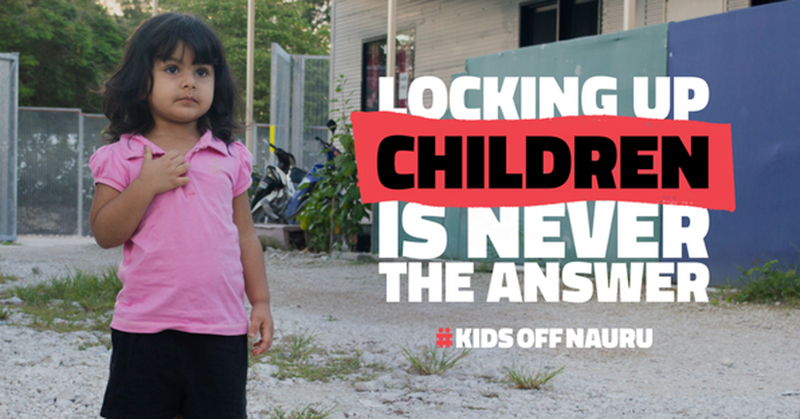 I’m thinking of children in the limbo of immigration detention, children who have endured sexual abuse, children stuck in situations with toxic relationships, children living with deprivation. But I’m also struck by the turn of events where children become the prophets of our time and place. And we have seen many of them lately. Like the high school students speaking out after yet another school shooting – with such conviction and clarity. 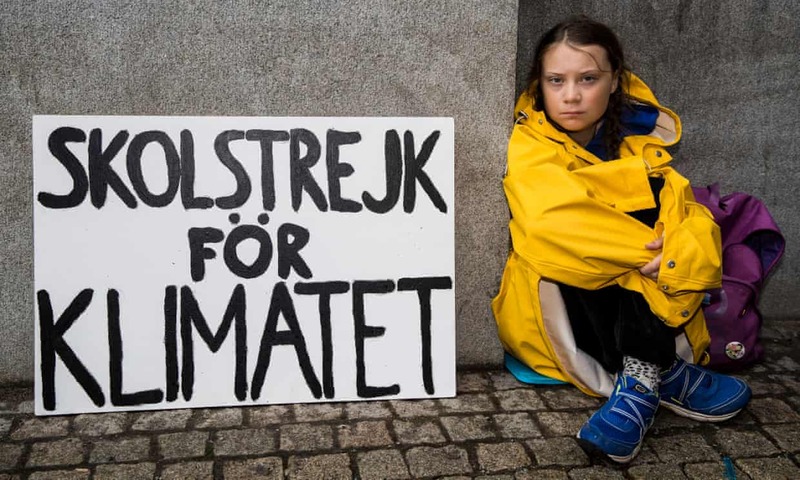 More recently I have been so struck by 15 year old Swedish activist Greta Thunberg. You may know she has been staging a peaceful protest each Friday outside the parliament of her country, calling for action on climate change and seeking climate justice. Her simple sustained action has mobilised many thousands of school students to give voice to their concerns for our planet and to climate justice. Recently, Greta had an opportunity to speak to the UN climate conference in Poland, known simply as COP24 (The decision-making body of the United Nations Framework Convention on Climate Change (UNFCCC) is the Conference of the Parties – more simply referred to as COP). The full speech – passionate, calm, clear, prophetic, undaunted by status and power – is worth viewing (see below). “I’ve learned you are never too small to make a difference. And if a few children can get headlines all over the world just by not going to school, then imagine what we could all do together if we really wanted to. But to do that, we have to speak clearly, no matter how uncomfortable that may be. I don’t care about being popular. I care about climate justice and the living planet. Our civilization is being sacrificed for the opportunity of a very small number of people to continue making enormous amounts of money. Our biosphere is being sacrificed so that rich people in countries like mine can live in luxury. It is the sufferings of the many which pay for the luxuries of the few. You say you love your children above all else, and yet you are stealing their future in front of their very eyes. Until you start focusing on what needs to be done rather than what is politically possible, there is no hope. And if solutions within the system are so impossible to find, maybe we should change the system itself. We have not come here to beg world leaders to care. You have ignored us in the past and you will ignore us again. We have run out of excuses and we are running out of time. We have come here to let you know that change is coming, whether you like it or not. Thank you”. Speaking truth to power, fearless in the face of those who hold status. In her speech, we hear echoes of Mary’s Magnificat, and Jesus’ mandate in Luke 4. Powerful. Meister Eckhart, a German monk and mystic, once asked a profound question in one of his sermons. “What good is it to me if Mary gave birth to the son of God all those hundreds of years ago – and I do not give birth to the son of God in my time and in my culture?” Might this young Swedish teenage girl be ‘giving birth’ to Jesus in our time and place? It’s an incredible concept. How might we be giving birth in our time and place to the divine? Christ has come, enfleshed in our humanity. Christ has come, enfleshed in refugees who seek safety and sanctuary. Christ has come, enfleshed in our indigenous sisters and brothers. Christ has come, enfleshed in our neighbours’ need. Christ has come, enfleshed in the longing of the lost and lonely ones who cross our path. Will we dare to be moved by the Christ-child so that we can see the Divinity that lives and breathes in, with, through, and beyond us? Dare we let the Christ child open us so that we can be the love that brings peace on earth and good will to all? This day we embrace the newborn, that Christ may be born anew in us, so that all the world may know the Love that we call God! The hope that we call God, the peace that we call God. Let’s not just celebrate Christmas this year. Let’s also participate in Christmas. Let’s dream and consider how we will give birth to the divine in our time and in our culture, in the places we live, work and play, in caring for the poor, the sick, the homeless, in speaking and working for peace and justice, in our relationships, in our brokenness and pain, and in our joys and celebrations, in sharing compassion, and our work to bring about justice and peace in our world. The life of Jesus is begotten in us, and grows within us, as we open ourselves to God. May this be so this Christmas. Amen. In the last few days, a 7-year-old Guatemalan girl, Jakelin Caal Maquin, was taken into Border Patrol custody and died of dehydration and exhaustion. She had travelled with her father from a rural indigenous community in Guatemala’s impoverished Alta Verapaz region. US Rep. Joaquin Castro said, “This is a humanitarian crisis and we have a moral obligation to ensure these vulnerable families can safely seek asylum, which is legal under immigration and international law at our borders.” She came as a stranger, but she did not find welcome; she was hungry but she did not find food; thirsty and was given no drink. She came as Jesus, Jesus came as her, but we did not recognize her. She was someone else’s child. 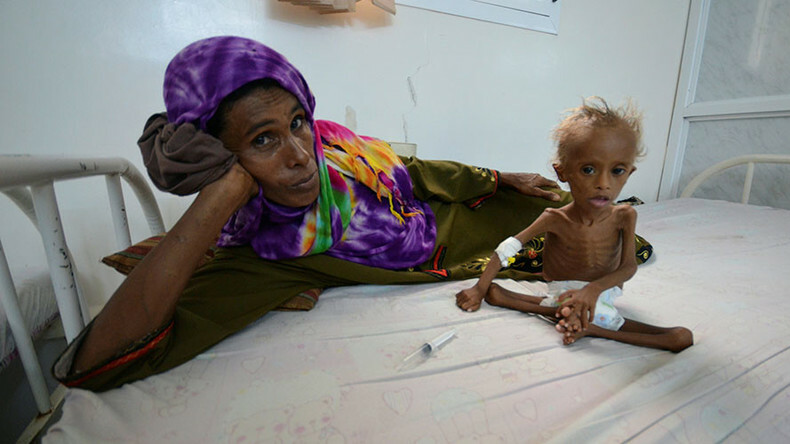 Today, the unfolding tragedy in Yemen sees 12 million Yemenis on the brink of famine, after two years of war. Already, 85,000 children may have died. Imagine seeing the child in the manger in every child you see and meet today, and images on the TV and internet. Simply observe your own feelings and responses. Contemplate what might change if we understand there is no such thing as other people’s children. They are all our children. A girl died at the border; O God, how can this be? Or did she die from something else— from stumbling blocks we made? Lord, she was only seven! What things should she have known? and feeling welcomed, treasured, blessed… and folks who understand. There will be times of stumbling here, but woe if we’re the cause. And woe when children, fleeing danger, stumble, thirst and die. And woe to us, a nation, if we are the reason why. So shake us loose from our believing nothing can be done. God, may we now obey your word and welcome children in. Text: Copyright © 201 8 by Carolyn Winfrey Gillette. All rights reserved.